[패턴 영어회화] Stop wasting + A + to + B. Stop wasting + A + to + B.
B하려면 A를 낭비하는 것은 이제 그만. 환경 보호를 위해 음식 낭비는 이제 그만. 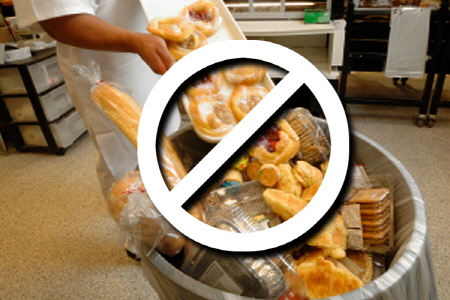 Stop wasting food to save our environment. 행복한 인생을 위해 시간 낭비는 이제 그만해. Stop wasting time to live a happy life. 미래를 든든하게 하려면 돈 낭비는 그만해. Stop wasting money to secure your future. 공과금을 줄이려면 에너지 낭비는 이제 그만. Stop wasting energy to lower your bills. 일을 제대로 마치려면 주의력을 분산시켜서는 안 되지. Stop wasting attention to get things done. 마음이 행복해 지려면 감정을 낭비 해서는 안 되지. Stop wasting emotion to make a happy heart. Stop wasting talent to sharpen your skills. Stop wasting words to get to the point. A: Stop wasting food to save our environment. B: Waste not, want not. 낭비하지 않으면, 부족함도 없게 되는 법. A: Stop wasting money to secure your future. B: Build up your nest egg. 저축으로 비상금을 잘 모아 둬야지. A: Stop wasting attention to get things done. B: Keep your eye on the prize.